The opening of Japanese ports for trade with the west in the 1850s was to have a huge impact on western aesthetics. Japanese products, including porcelain, lacquer and countless object d’art flooded the markets of the modernising European cities, setting a craze for ‘things Japanese’. It was, above all, the inexpensive Japanese prints that took Europe by storm. With their simple lines, flattened perspective and unusual colour juxtapositions, the artists of the European avant garde began to apply the lessons they learned from Japanese prints to their own art making. This lecture will look briefly at the historical context in which Japanese prints arrived in Europe, before looking in greater detail at the influence they had on artists such as Manet, Degas, Monet and Cassatt, for example, playing a crucial role in the development of Impressionism. 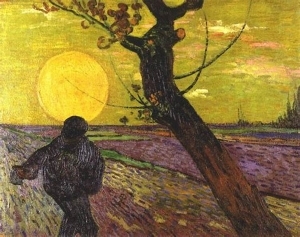 It will then consider the continuing influence Japanese prints had on the Post-Impressionists, including van Gogh, Gauguin and Toulouse-Lautrec, as well as elsewhere in Europe, on Gustav Klimpt in Vienna, for example. Throughout that lecture examples of western modernist art will be juxtaposed with Japanese prints to demonstrate the way European artists adopted and interpreted Japanese aesthetics. Reference will also be made to the influence on European print making, demonstrating the intimate relationship that developed between the artists of Japan and Europe. Vincent Van Gogh's documentary by Seventh Arts will complement the session that will further discuss how Japanese printmaking was one on Vincent's main source of inspiration. Hailed as the greatest artist of the 20th century, Picasso’s name is accredited the world over. So prolific an artist was he, so inventive and experimental in his production, that each year since his death in 1973 sees new books and research papers being published exploring some new facet of his work. 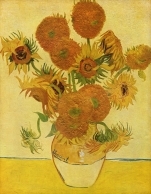 Picasso’s unique work struck for the emotional intensity revealed in the energy of the themes and in his endless artistic vocabulary. Known for having an eccentric personality, the co-founder of Cubism was a man of many facets as evidenced all through his artistic trajectory. 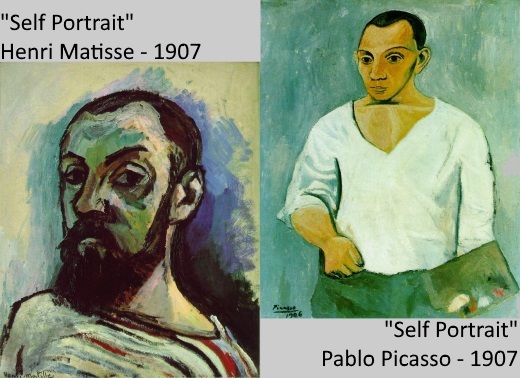 This lecture will provide an introduction to the work of this great artist, taking us back to the basics and presenting a broad overview of Picasso’s life and work, covering his development from the late 19th century into the 20th centuries. It will discuss the major advances and breakthroughs in his work from his beginnings as a young artist of modernism in Barcelona, to his Paris years and beyond, looking at his Blue and Rose periods, his Primitivism and Cubism, his graphic work from the 1930s and the eventual development of his own unique way of portraying the world. Key paintings such as Les Demoiselles d'Avignon and Guernica will be highlighted, and the enduring influence of past masters whom Picasso frequently paid tribute to in his work will also be introduced, along with the legacy they left in Picasso’s work. A Matisse-Picasso documentary will conclude the session showing the work of the two great masters, their friendship, their rivalry and their mutual inspiration. One of the most well-known Post Impressionist artists, self-taught Van Gogh developed his own style of painting, exploring ways of expressing emotions through loaded brushstrokes and vivid colours while concentrating on themes of profound symbolism. This lecture will survey the remarkable journey of this truly original master that has inspired many generations of artists. 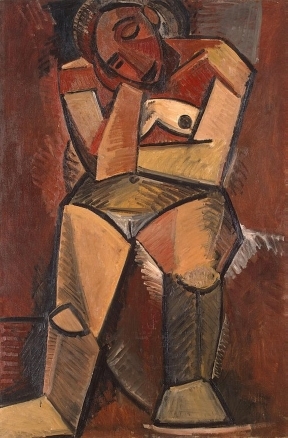 Considered one of the greatest and most influential artist of the 20th Century, Picasso’s unique work struck for the emotional intensity revealed in the energy of the themes and in his endless artistic vocabulary. Known for having an eccentric personality, the co-founder of Cubism was a man of many facets as evidenced all through his artistic trajectory. The movie Matisse and Picasso – Twin Giants of Modern Art is an encounter with the two pioneers, two adventurers in painting, who opened new frontiers. In spite of their initial rivalry and their very different temperaments, each came to acknowledge the other as his only true equal.